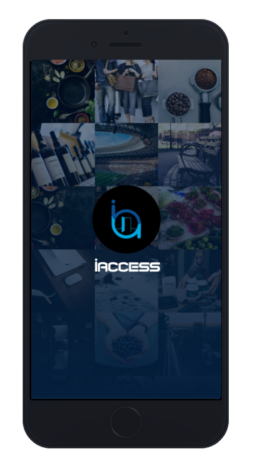 iAccess will provide users with a wealth of knowledge around the accessibility of establishments such as restaurants, hotels, concert venues, and sporting arenas. 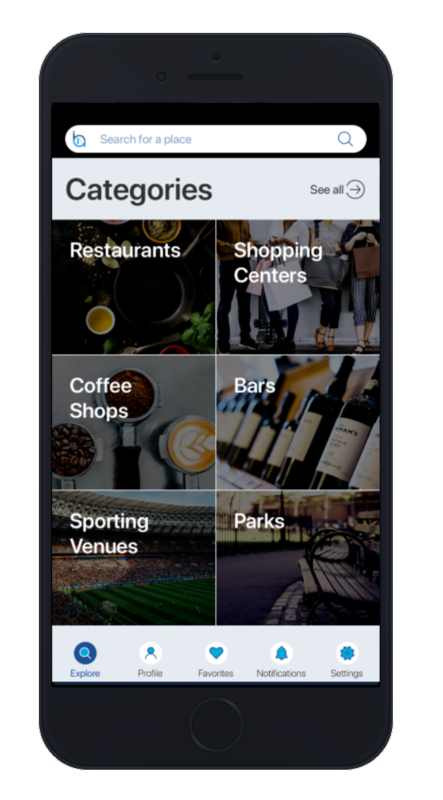 The app will allow our users to “know before they go” and feel confident making plans with their friends, colleagues, and loved ones. 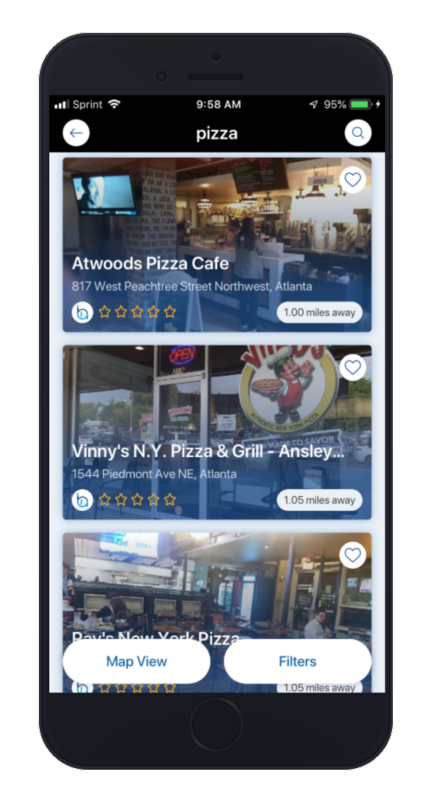 Select your desired business, for example, “Restaurants.” These places will populate using the location services on the phone and the Google Places API. 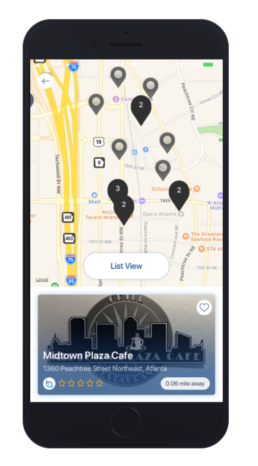 The map view will be populated with most accessible establishments that are near your location or the establishments that meet your category/search criteria. 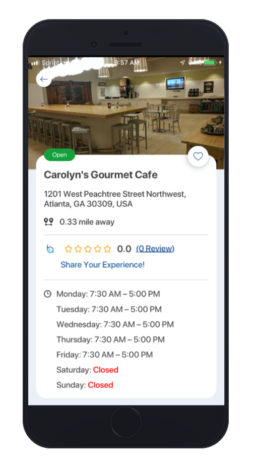 You can either click on the PIN of the place you want more information for to open the location profile or you will have the option to select the hamburger menu in the top right corner of the page to see a full list of locations. The list view will be populated with most accessible establishments that are near your location or the establishments that meet your category/search criteria in a list. You can click the location from the list view that you want more information for in order to open the location profile. The location profile contains necessary information such as address, phone number, and location type. On the location page, users can see an overall accessibility rating, the locations rating from Google places and the specific average ratings around parking, entrance, seating, and bathroom. 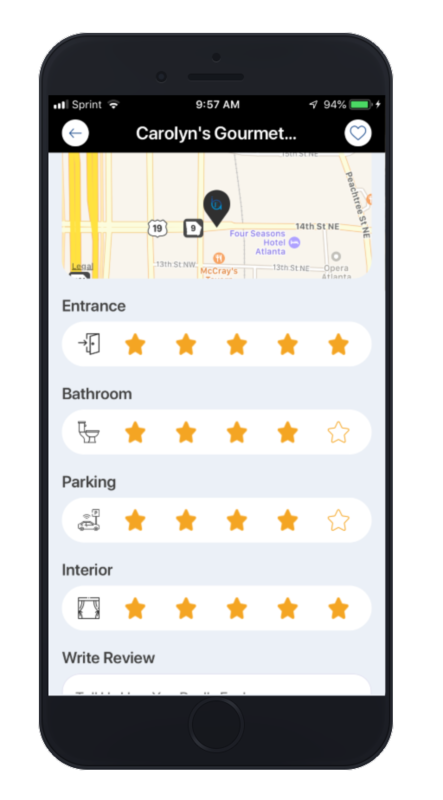 On the location profile page, a user will be able to give a five-star rating for the Entrance, Bathroom, Parking, and Interior seating of the establishment. 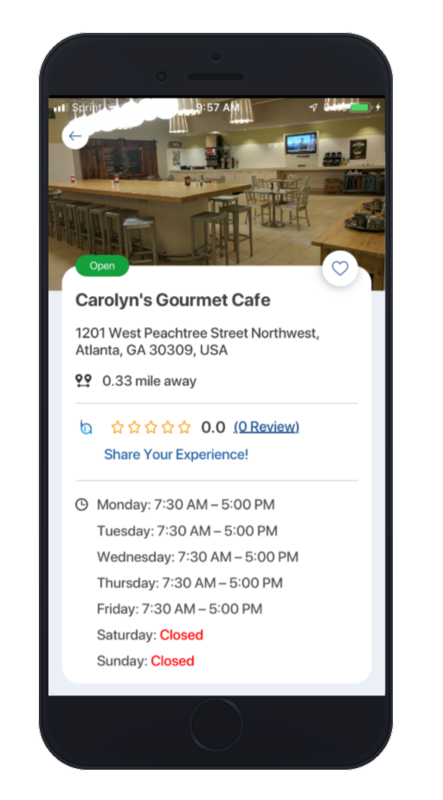 In addition to the ranks, users will be able to write a text review, by clicking “Add a Review." 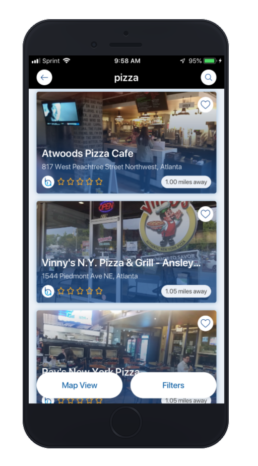 Users will need to register with the app to leave ratings & reviews. Once a user creates a profile, they will be able to maintain their profile information. This profile information includes their specific disability so that they can receive tailored recommendations. 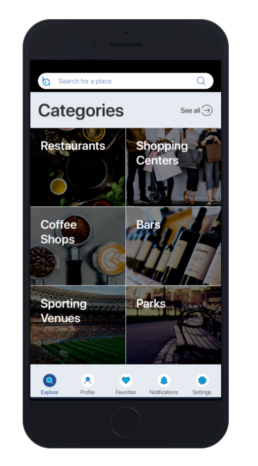 They will also be able to favorite locations that permeate to the top of their searches when applicable to the search criteria. In 2008, At the age of 14, CEO and Founder Brandon Winfield was injured in a motocross accident that left him paralyzed from the waist down. Faced with the decision to either let this dramatic event slow him down and stop him from truly living the life he wanted, or take this setback and turn it into a set-up for an opportunity to triumph in the face of tragedy, Brandon chose the latter. Brandon continued his love for racing in the form of four wheels, entered sprint kart racing, and won numerous events. He continued to travel the country with his best friends, spending time in Southern California, Vegas, Miami, Tampa, Orlando, and other locations. While on his adventures he started to realize that although most places he visited were up to ADA (Americans with Disabilities Act) code, many areas were grandfathered in and were never forced to retrofit to accommodate the mobility impaired. 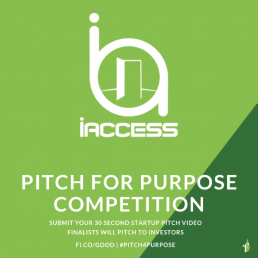 These experiences sparked the idea for an app that would allow people with mobility impairments to rate & review the ease of accessibility and post photos of venues such as restaurants, lounges, clubs, and bars that they were visiting. Creating this community of people in similar situations would give others an idea of the types of inconveniences they may face before visiting a particular establishment. Having this information available at your fingertips not only allows for the mobility impaired to navigate a stress-free, relaxing night with their friends and loved ones, but it also helps the acquaintances of the mobility impaired be more aware of their challenges and plan events and celebrations in places that are extremely accommodating for all. In early 2015, Sayeed came across a post on social media that about Brandon and the mobile app he was working on to allow people with mobility impairments to rate places on how accessible they were. He reached out to Brandon’s sister, whom he had gone to school with and told her to let him know if he needed some help navigating the technology and development side of the endeavor that he would love to be involved. In his profession as a product owner, his job is to gather technical requirements, identify and investigate the viability of third party API’s as a data resource, weigh in on interface and design questions, and ensure that the product being delivered meets the expectations of the user. 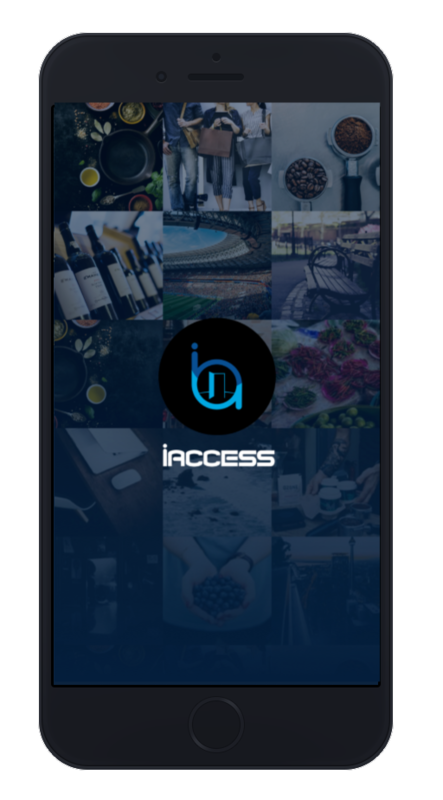 He felt that is experience in that field lent itself perfectly to what Brandon was doing and where he was going with iAccess. Brandon and Sayeed quickly realized that they compliment each other well and that they had a lot in common as far as personal interests and professional drive so they decided to enter a formal co-founder relationship. They have gone through a long journey of learning and growing and feel like they are finally in a place to bring this project to fruition.